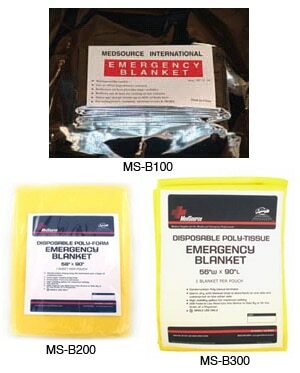 MedSource offers three different single-use emergency blankets: Mylar, Poly Foam and Poly Tissue. The blankets are designed to keep the patient warm and dry during transport or other emergency situations. is designed to retain the body heat during shock. It is waterproof, and has a reflective surface to provide high visibility. is made of a poly-laminate cover adhered to a layer of urethane foam. This blanket keeps the patient warm and dry while awaiting transport. 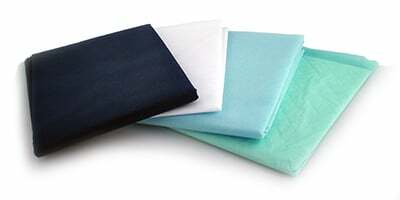 is constructed of an absorbent tissue layer secured to a water-resistant backing. 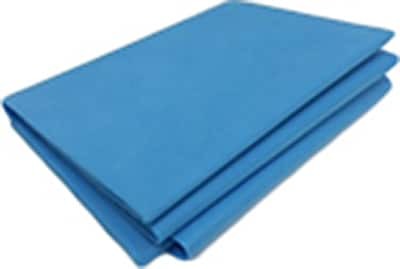 This construction offers an ideal economic solution for a disposable yellow blanket. MS-B300, Size 56” x 90“. Emergency Blankets from MedSource will improve your level of patient care and not increase your budget. 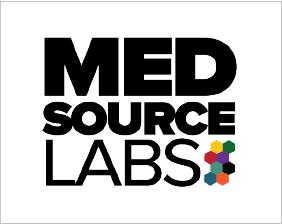 Low cost – high quality products from MedSource.